The (Philippine Christmas or Paskuhan) Village is approximately 20 kms. From Clark Int'l Airport, 60 kms from Subic Int'l Airport and 65 kms. away from Manila. 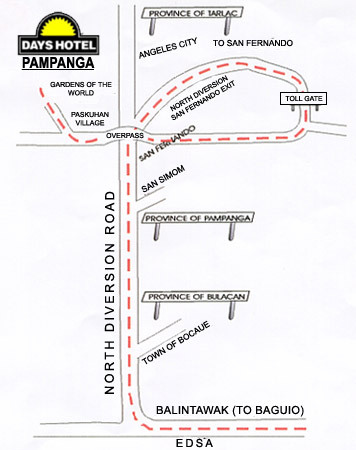 Any North-bound public transportation will take you there through the North expressway and the San Fernando Exit tollgate, right towards the Olongapo-Gapan Road. situated in Asia's first-ever theme park of its kind.